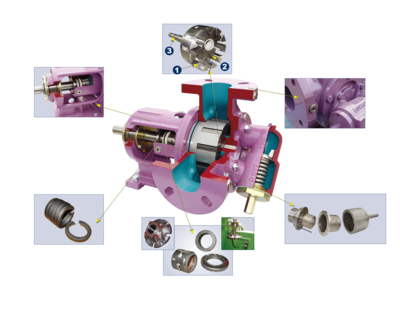 How do rotary gear pumps work? On the picture on the right, you see the fluid path and gear mechanism. Two gears generate the flow - The rotor (1) and the idler (2). The rotor drives the internal idler. As the gears rotate, liquid is drawn into the spaces by the crescent (3) and smoothly transported towards the discharge port, where the gears mesh, closing the space and expelling the fluid. 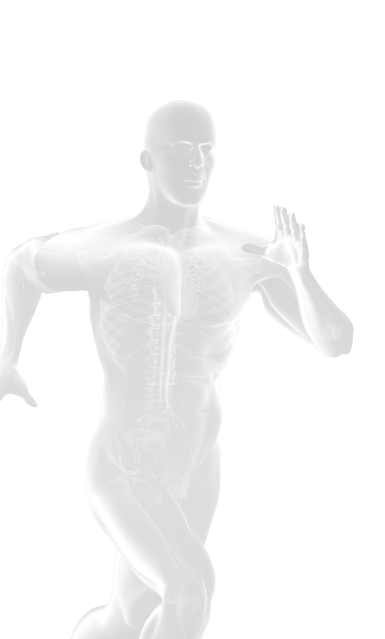 The result is a constant, smooth flow with no pulsation. A gear pump has many advantages due to the gear mechanism being finished with close tolerances providing a highly efficient performance in terms of suction and discharge. The nature of the gear teeth and powerful motion makes it exceptional at handling viscous fluids up to 100,000cps including chocolate, fats, oils and similar. Although the pump does handle solids and abrasive material well, the pump can handle shear sensitive fluids with a gentle non-pulsating flow thanks to the cumulative, smooth delivery of the gear teeth meshing. The flow is directly proportional to the speed, independent of the pressure, giving much greater control and reliability to the service operator. Due to the shape of the gears and how they are assembled, the pump can handle high temperatures (approximately 300oC with some models even higher than this) and can handle high system pressures. The pump can also be operated in both directions allowing the same pump to transfer in both directions. Due to the exceptional tolerances, the suction lift created by the gear mechanism is self-priming. Across many installations, we have found that should the pump be handling the fluid in the process as specified, the pump will run for a very high MTBF and planned maintenance. Typically an internal rotary gear pump excels at handling 'clean' viscous fluids. Gear pumps are also used commonly on lower viscosity fluids where a constant flow is required at high pressure such as feeding a burner system with diesel fuel. 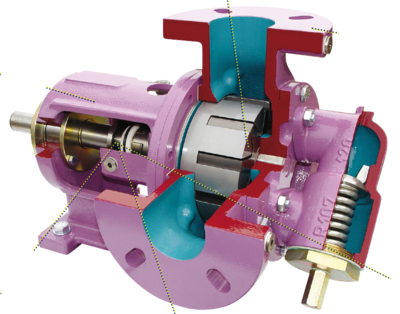 Verdergear pumps are available in 6 pump models including in mechanically sealed or magnetic driven versions. The sealed versions can be equipped with single or double mechanical seal as well as lantern ring. The magnetic driven pumps have no glands or seals and are 100% leak-free.